Horizon Air, which goes back 30 years as a US regional carrier, is to virtually lose its identity with a move by parent company Alaska Airlines to rebrand its aircraft in its style. The airline’s 40 strong fleet of Bombardier Q400 aircraft are even to gain Alaska’s trademark Eskimo on the tailplane. Horizon has had a separate brand since it was acquired by Alaska Air Group in 1986. Horizon operates an average of 350 flights a day in 45 cities in Arizona, California, Idaho, Montana, Nevada, Oregon, Washington, Baja California, Sur (Mexico), and British Columbia and Alberta (Canada). With the Gulf states and the whole region now seeing a growth of low cost airline operations it is not surprising that this part of the air transport scheme will be highlighted at the 4th annual Aviation Outlook Middle East & North Africa, at the Shangri-La, Dubai, 14-16 March. Key speakers include Peter Hill, CEO of Oman Airways, very much a full service carrier, and at the other end of the scale and balancing things up is Mr Stefan Pichler who holds a similar position at Kuwait’s Jazeera Airways. 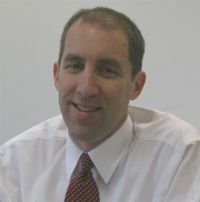 David Huttner, Senior Vice-President at Nyras, the London consultancy, will try and balance out the whole situation in a session entitled 'Key Sales & Distribution Challenges in the Region.' In all over 30 speakers are lined up to debate a whole series of civil aviation related subjects over the three days of the conference. Atlantic Airways, the flag carrier for the Faroe Islands, will again be operating a twice weekly service from the islands tiny airport to Stansted from June to August this year, plus a special service over Easter. Flight time in a BAe/Avro 146/RJ is just two hours. Atlantic Airways was founded in 1987 and began operating scheduled flights in 1988. The 2011 schedule includes Copenhagen (up to four times daily), Aalborg, Billund, Stavanger, Reykjavik and the summer time only Stansted route. 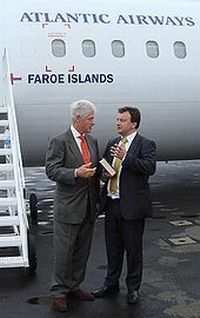 It also operates local helicopter services within the 18 Faroe Islands. British Midland is to drop in its entirety all services between Glasgow and Heathrow from the start of the summer season at the end of March. It is a controversial move and leaves British Airways as the only carrier on the route although the Scottish city is also served by BA from Gatwick and London City, easyJet from Gatwick and Luton, and also Ryanair out of Stansted and to Prestwick. BMI, which is owned by Germany’s Lufthansa, blamed a forthcoming increase in BAA passenger charges at Heathrow for making the loss-making route “unsustainable”. The airport operator rejected the accusation, saying BMI was making a commercial choice to transfer slots to more profitable long haul routes. At the same time BMI announced new routes from Heathrow to Bergen (a Heathrow first), Stavanger, Casablanca and Marrakech. 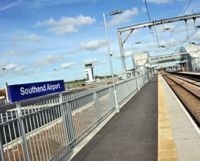 Aer Arann is to introduce twice daily flights (with limited weekend services) from Southend Airport to both Waterford and Galway from 27 March 2011. These are the first full scheduled routes to be announced since the airport was purchased by the Stobart Group two years ago. Stobart also has an interest in Aer Arann. Flight time, by ATR72 turboprops, to Waterford is around 1hr 30mins and Galway 20mins longer. KDS, the travel management company, introduced last week in Paris what it claims is a set of products that will revolutionise travel and expense (T&E) administration. Created in 1994 KDS is today an international company based in the French capital city. "Have you ever noticed? Anybody driving slower than you is an fool, and anyone going quicker is a lunatic." HMS Belfast was the venue for BAE Systems Regional Aircraft Division annual media briefing last week. Now part of the Imperial War Museum, and moored in the Pool of London, the light cruiser was a fitting venue. Britain’s tallest building, The Shard, towers above. BAE Systems Regional Aircraft is today a leasing and air service organisation based on the site of the former de Havilland aircraft factory at Hatfield. The company has a portfolio of around 146 aircraft, mostly BAe 146/Avro RJ jets, and J31/J41 and ATP turboprops. It says that in 2010 overall aircraft deliveries were down at 1,128 including 398 Airbus A320 family and 376 Boeing 737NG. Around 400 aircraft were retired but there is a stock of 600 commercial jets available, much the same as last year. Tomorrow (Tuesday 8 February) sees Eastern Airways switching all of its flights at Birmingham Airport from Terminal 1 to Terminal 2. The move by the UK regional airline coincides with the recent opening of the airport’s new centralised security facility. However, all Eastern Airways passengers will have access to a dedicated fast track security channel to avoid any queues at the search. A prominent new check-in position in Terminal 2 will be available for Eastern Airways passengers checking in for its three times daily weekday service departing from Birmingham to Newcastle. In the eight accommodation floors, there are 192 guestrooms of which 53 incorporate a large, modern wet room rather than a conventional bathroom with tub. The percentage of suites is significant. Before the rebuilding, there were 20; ReardonSmith’s scheme has achieved 45 flexible one-, two-and three-bedrooms offerings to accommodate different permutations, all of them configured to maximise views. 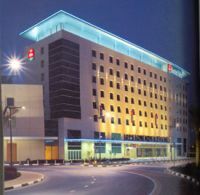 Accor is going into the Saudi hospitality market with its Ibis brand. 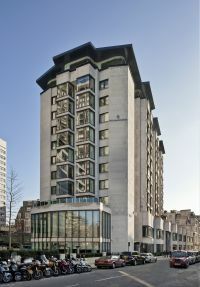 The new property is currently under construction and due to open in 2012. With 176 guest rooms , the Ibis Riyadh will offer an all-day-dining, a coffee lounge and a meeting room. 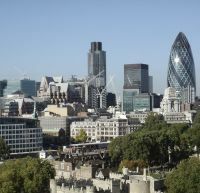 The Corporation of London has weighed into the controversy regarding the capital’s air links with the publication last week of a comprehensive report by York Aviation detailing the situation. London's airports have experienced falling passenger demand – particularly business travel – since 2008 due to the economic downturn. At the height of the market in 2007, around 140m passengers passed through London's airports. However, after a small decline in 2008 as the global recession set in, demand fell to only around 130m passengers in 2009. 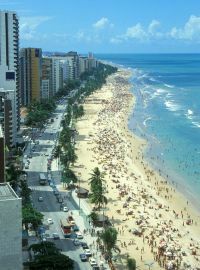 Iberia has launched a new service from Madrid to Fortaleza and Recife in the North East of Brazil on the Atlantic coast. The load factor of the Spanish carrier first flight to both Brazilian cities surpassed the 90% mark, a strong indication of the route’s future potential. It doubles the number of Iberia destinations in Brazil. The airline expects to carry some 80,000 passengers on the new service in its first year. The flights are operated using 254-seat Airbus A340-300s, equipped with a new Business Plus Class including flat beds. An exquisite gastronomic service and on demand in-flight entertainment system are other features of Iberia’s long haul Business Class. Routing is Madrid – Fortaleza – Recife – Madrid. 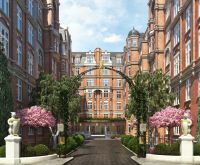 The St Ermin's Hotel, Westminster, one of London’s most iconic 4-star properties, is to re-open in April after a £30m refurbishment. The first European hotel from entrepreneurial, US-based Amerimar Enterprises, the new St Ermin's retains its classic Grade II listed architecture, complete with its mix of evocative Art Nouveau styling and dramatic Rococo plasterwork. The original courtyard garden has been recreated and lushly replanted providing a distinct sense of arrival before entering the restored historic lobby with theatrical curving staircases, balconies and open fireplaces. The accommodation has been reconfigured and the hotel now offers 331 spacious, high ceilinged rooms including 40 suites, 53 executive rooms and 18 family housing units. All have the latest amenities including state-of-the-art LCD TV entertainment system, multi-national electrical sockets, wireless and wired internet plus radio with MP3 docking station and in-room refreshments. The Business Travel & Meetings Show opens its doors tomorrow (Tuesday 8 February) at London’s Earls Court 2. With 200 world-class suppliers the event is expected to attract more than 6,000 travel buyers and organisers who will be able to take part in as many of the 26 conference sessions as is practical and enjoy unrivalled networking opportunities. Exhibitors include Air New Zealand, Alitalia, American Express, Advanced Payment Solutions, Barclaycard Commercial, Best Western Hotels, Carey Worldwide, Capita Business Travel, Carlson Wagonlit Travel, Cityjet, Click Travel, Concur Technologies, Disneyland Paris Business, East Coast Main Line Company, Egencia, Egyptair, Ethiopian Airlines, Finnair, First Capital Connect, Flybe, Get There, Gulf Air, Heathrow Express, HRG, Japan Airlines, Kenya Airways, London City Airport, Millennium Hotels, Premier Inn, Priority Pass, Sabre Travel Network, The Serviced Apartment Company, Turkish Airlines, Uniglobe Travel, VATit and Virgin Atlantic Airways. 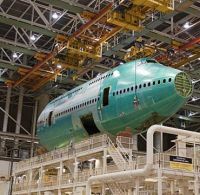 Seattle will see the first roll-out of the all new passenger Boeing 747 Intercontinental next Saturday (14 February). It is the first major development of the ubiquitous 747 since the -400 series made its maiden flight in 1988. The 747 itself dates from 1969. Whilst also available in a successful cargo configuration (Boeing 747-8 Freighter) the Intercontinental has to date sold in small numbers with Lufthansa taking 20, Korean Air 5, and eight earmarked for use as private jets. Orders for the parallel cargo aircraft stand at 74. Compared with previous 747s the Dash 8 series has a lengthened fuselage, redesigned wings, and new engines. A completely rehashed interior incorporates many of the features initially designed for the 787. Air France has introduced a new in-flight news bulletin, exclusively produced for them by Euronews. 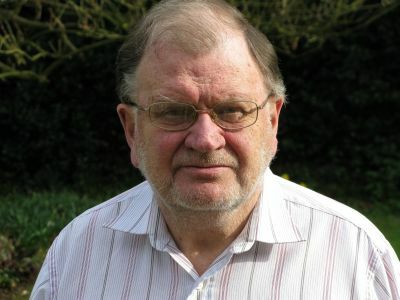 Starting on 29 January 2011 this bulletin offers a 40-minute round-up of the week’s main news. Accessible in French and English versions as part of the in-flight entertainment programme, it covers worldwide, economic, cultural and sports news, from an international angle. This innovative service will replace the different news programmes available to date. 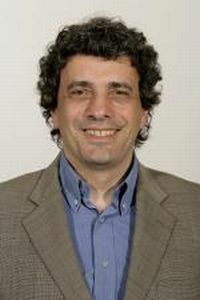 “With our customers’ changing expectations, who read the daily news on the internet or via their smartphones, this new Euronews programme provides viewers with in-depth, contextual reporting on the major stories, complementing the daily news bulletin,” stated Christian Herzog, SVP Marketing, Air France-KLM. Users of Frankfurt Airport (FRA) should note that very shortly the airport will be introducing a new baggage cart concept with a refundable deposit system. Trolleys at FRA will still be essentially free while availability and ease of finding them will greatly improve says the airport. All of the approximately 2,000 baggage carts in the public areas of the terminal complex will be adapted to the deposit system by April. More than 100 storage points will be available particularly in the check-in and baggage claim halls, at the Terminal 1 and 2 forecourts, and at the parking garages. Users will be required to pay a €2 deposit by cash or credit card, which is refunded in cash when returning the cart to one of the depot stations. 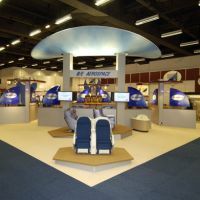 Hamburg Messe Aircraft Interiors Expo is being held from 5 to 7 April this year. The organisers say that an improving economic environment and rising passenger expectations are two of the factors expected to help fuel the cabin service industry during 2011. The event is the world’s largest gathering of airline procurement representatives. Examples of new Business Class seating and advanced in-flight entertainment and connectivity systems are expected to be two of the trends that airlines are particularly interested in seeing this time around. The UK Civil Aviation Authority (CAA) has issued guidance on the release of sky lanterns in UK airspace. The growing popularity of releasing large number at private or commercial events is creating a potential hazard for aviation, in much the same way as mass balloon releases and firework displays says the CAA. It is calling on all organisers of sky lantern releases to register their event in advance so that it can warn aerodrome authorities, and they in turn airspace users of the possibility of encountering these aerial beacons. 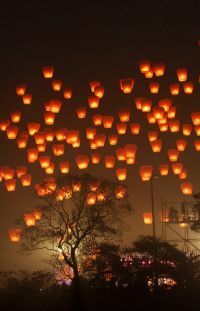 Sky lanterns, sometimes known as Chinese lanterns, vary in size and performance and when released can travel considerable distances at unpredictable heights on prevailing winds from the point of release. They can be ingested into the engines of airborne aircraft, or, as they fall to the ground, they have the potential to become debris on runways and also on roads and motorways. Ryanair is to fly to Greece for the first time, instigating a three times per week Stansted to Thessaloniki route on 13 April. Flight time for a Boeing 737-800 is around 3hrs 30mins. 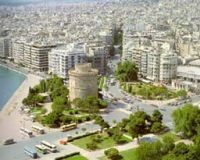 As Greece's second major economic, industrial, commercial and political centre it is already served from London but strangely only from Gatwick, British Airways, easyJet and Olympic Air all competing on the route.